Orthopedic Surgery: Knee, Hip, Shoulder, Back. Orthopaedic Physician. 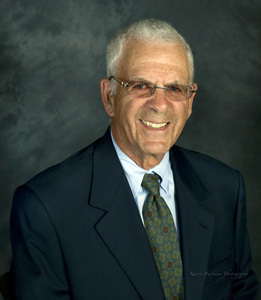 Dr. Mack was a board certified in orthopaedic surgeon since 1968. He spent 10 years on the full time faculty at CWRU. He then went into full time private practice in Denver. His surgical interests are in the lower extremity, including joint replacement. Dr. Mack is also experienced in the shoulder and spine. After retiring from surgery, Dr. Robert Mack has carried on an office practice, which includes doing over 400 IME's in recent years. AOSSM Hall of Fame Ski Safety Pioneer, Robert Mack, MD was inducted into AOSSM (American Orthopaedic Society for Sports Medicine) Hall of Fame. As a sports medicine leader and ski safety pioneer, Dr. Robert P. Mack, was inducted into the AOSSM Hall of Fame, on Friday, July 16, 2010 during its Annual Meeting in Providence, Rhode Island. Cleveland Crusaders Hockey Team, W.H.L. Cherry Creek High School, Denver, Co.
Life Biography Robert P. Mack grew up in Canton, Ohio where he graduated from Canton-McKinley High School. He graduated from Princeton University in 1957 and attended Case Western Reserve University (CWRU) Medical School, completing his orthopaedic training at University Hospitals in Cleveland, Ohio in 1966. Dr. Mack served two years in the U.S. Air Force in Bitburg, Germany as Chief of Orthopaedic Surgery at the 36th TAC Hospital. He returned to Cleveland, Ohio in 1968 as an Assistant Professor of Orthopaedics at CWRU and became Chief of Orthopaedics at Metropolitan General Hospital, where he was responsible for clinical care and residency training, a position he held until 1977. In 1972, he founded the Rainbow Sports Medicine Center at University Hospitals in Cleveland. In 1977, Dr. Mack moved to Denver, Colorado to join the Denver Orthopaedic Clinic in full time private practice and currently works with Orthopaedic Associates of Aspen and Glenwood Springs. He has contributed 24 publications and 133 presentations during his long orthopaedic career. His laboratory research conducted in Cleveland resulted in the development of an internationally accepted device for testing ski bindings. Data from that research showed that not one of the existing ski bindings were safe. This resulted in the formation of the ASTM (American Society of Testing and Materials) F-8 Ski Safety Committee that established safety standards for ski bindings. The net result of this research was the virtual elimination of tibia fractures in alpine skiing. Another unique program created and developed by Dr. Mack and Rainbow Sports Medicine Center was the establishment of a high school junior athletic trainer program where inner city schools were covered by sideline trainers for athletic injuries. Dr. Mack joined AOSSM in 1974 and has served on multiple committees, including membership and Council of Delegates and as treasurer and member of the Board of Directors. Dr. Mack’s contribution as a team doctor is extensive, continuously covering multiple high school teams throughout his career. He served as team doctor for the Cleveland Crusaders / Barons from 1972-1977. Additionally, he served as an original member of the U.S. Ski Team Physician’s Group from 1972 -1985.